Dr. James Strong is a man of utmost character. He is anointed to teach God’s Word with clarity. He is a strong family man and has been married to First Lady Mary Strong for 40 plus years. He is the Founder and Pastor of Fountain of Life Ministries which is located in Southwest Huntsville. Dr. Strong was born and reared in Huntsville, Alabama. He was saved in 1976, called to the gospel ministry in 1979, and preached his first sermon in 1980. He has been preaching for 36 years and pastoring for 31 years. He is an awesome teacher of the word. He is a graduate of C. H. Mason Bible College and has a B. A./M. A. degree in Biblical Studies from Trinity Bible College and Seminary. He has a Doctorate of Theology from Minnesota Graduate School of Theology. He also has an honorary doctorate from St. Thomas Christian College in Jacksonville, FL. He has served in many capacities in the church. He served as pastor of Crutcher Temple COGIC in Lacey’s Spring for 14 years until God called him to plant a church in the Huntsville area. He found Fountain of Life Ministries in 1999 where he is yet serving as Senior Pastor. He has also served as Vice-President of State Evangelism Department, State Treasurer for the Department of Evangelism, District President of Evangelism, and he is now serving as Chairman of The Huntsville District Church of God in Christ. 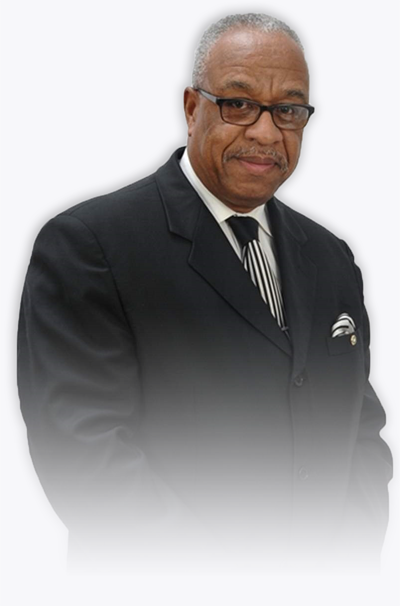 In September 2005 Pastor Strong retired from a 34 years professional career in Automotive Collision Repair Industry which 20 of those years he was a business owner. In his 34 year career he received many awards for excellence service. He mentored many young men during his time in the Automotive Collision Repair Industry and some even have their own businesses. Dr. Strong has two lovely children (Elder Jamel Strong & Missionary Faith Bailey), a wonderful son-in-law (Lance Bailey), and three wonderful grandchildren (Jordan, Christian, and Christopher Bailey). All of whom work very diligently with the ministry.